It’s been a while since I last wrote about what the little guys have been up to. Sorry. But that isn’t to say that they haven’t been doing anything. It’s just that I’ve been a little too busy to tell you all about it. Sorry, again. I’ll try to get my priorities right in future. Just a few weeks ago, the Crew headed further down into the South West to Dartmouth, which is easily one of their (and my) favourite hangouts. I’ve written previously about our visit to the lifeboat station there, but on this occasion we had another destination in mind. 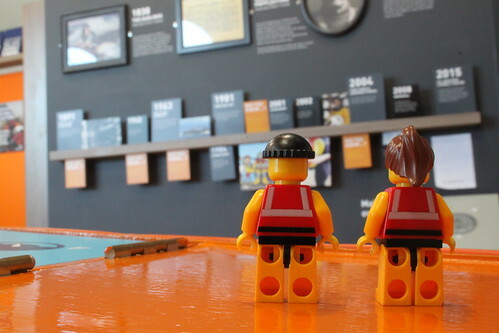 Because we’d heard great things about the new RNLI Visitor Centre in the town. And it turns out that the things we’d heard were right on the money. Because the Visitor Centre, which is situated on the South Embankment near to the lower ferry, is truly amazing. 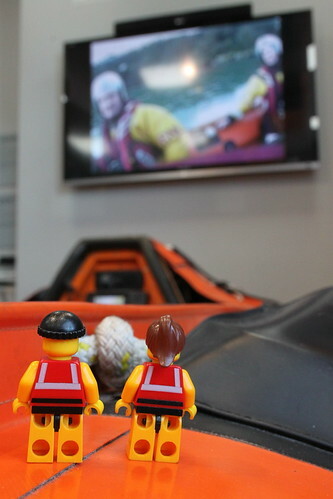 And it has a big screen (well, big if you’re only an inch and a half tall) showing footage of daring RNLI rescues from around the coast. It’s highly educational, too, with information on the history of the Dart lifeboat and of the RNLI. As well as the opportunity to watch a short film and to get your photo taken. Yes, it really is all bang up to date. 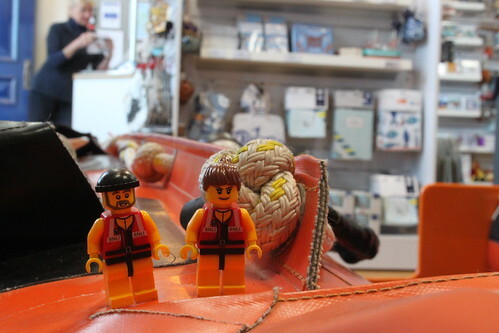 And if that wasn’t enough, there’s even a particularly well-stocked RNLI shop, thanks to which the little guys have now completed their Christmas shopping and have stocked up on birthday presents for each other for the next decade or so. 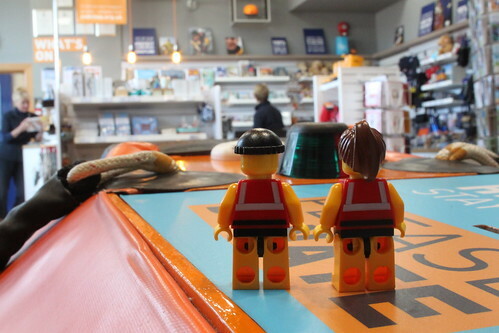 So if you’re planning to head down to Dartmouth, or even if you’re not, do make sure you pop in to the RNLI Visitor Centre. If it was a restaurant, it would definitely get a Michelin star. But it’s got a D class, which is clearly far superior. This entry was posted in Out and about and tagged Dartmouth, RNLI Visitor Centre by Simon Perks. Bookmark the permalink.